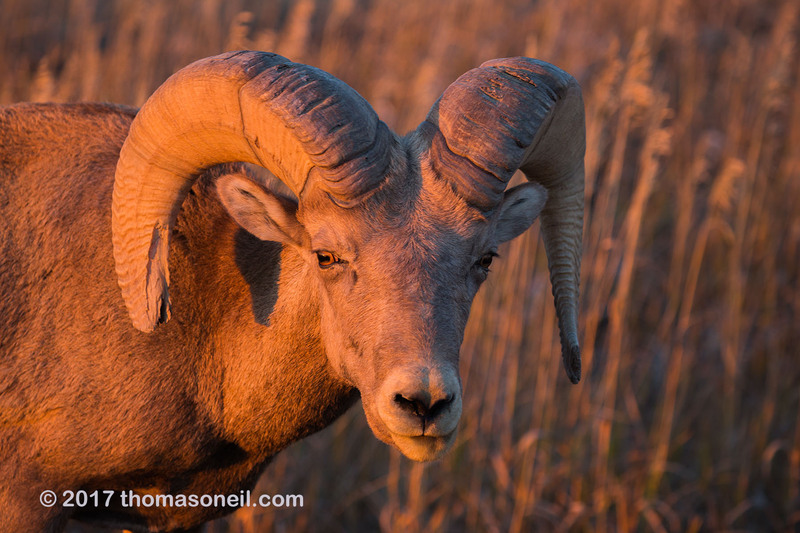 thomasoneil.com Badlands and Black Hills, September 2017: Bighorn in the Badlands, South Dakota, September 2017. Note the difference in light between this image taken just before sunset and the next image in the slideshow taken three hours after sunrise the next day. [#9048-7148] Click on image for next photo.